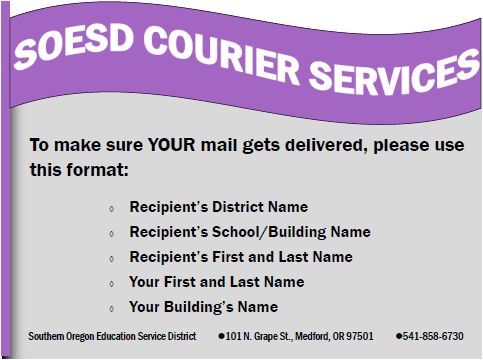 Southern Oregon Education Service District provides a courier service for pick-up and delivery of a variety of media materials and equipment. Pick-up locations and times for districts in Jackson, Josephine, and Klamath counties. Non-profit organizations who have an educational purpose can contact SOESD to have a distribution of materials considered.